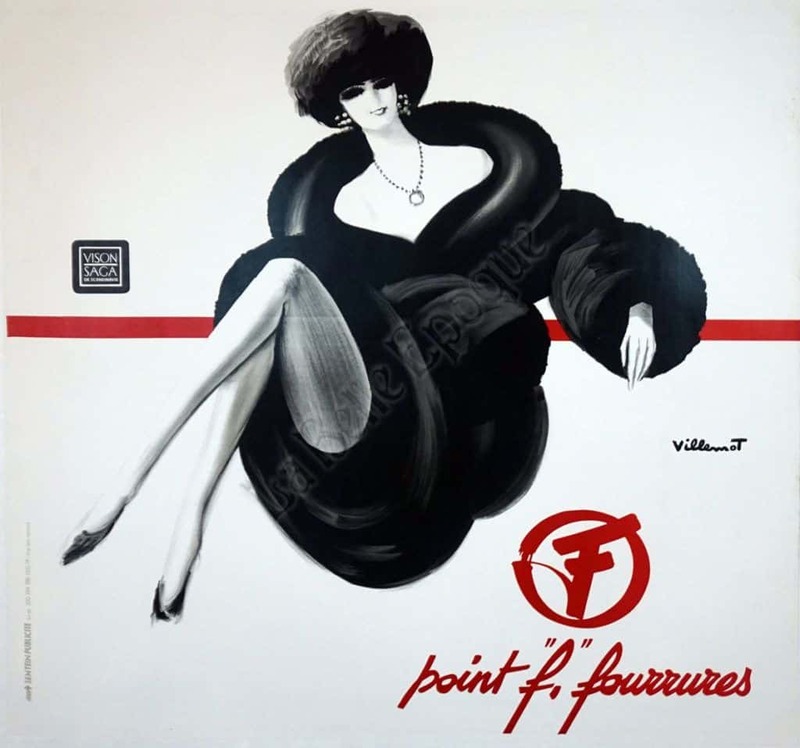 This is a “Point F. Fourrures” advertising poster by the important French Modern poster artist Bernard Villemot. In the center, you’ll see a fashionable woman wearing an elegant black fur. She’s crossing her legs, and sits relaxed with a smile on her face. The Point F. Fourrures logo & name are in red on the right including a matching horizontal red line in the the center of the poster. The fur manufacturer (Vison Saga Furs of Scandanavia) stamped their seal in black on the left side of the poster.